Afraid of the “Web?” Don’t Be! Trying to know everything about the Internet is as impossible as reading every book ever written. 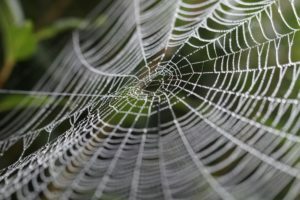 Like the spooky spider webs (real and synthetic) that accent our autumn décor, the fingers of the world-wide-web stretch and reach into sometimes unexpected corners of our lives. Schools, grocery stores, medical offices, places of employment and social groups – it is hard to find areas of life that are not touched. Yet, while technology races to manage our world, how well are we managing technology? No matter where you find yourself in this digital age — ahead of the curve, just keeping up, or lagging behind — step away from the shivers you feel about getting caught in the web. Here are suggestions of some free tools and applications that I, myself, have found useful. They have helped me create order and ease in different areas of my daily life. When You Shop: If you keep your cell phone with you, use it to store your shopping lists. Simply take a picture of your refrigerator grocery list before leaving the house or have a family member text you a picture of it when you’re at the grocery store. Create your list in an “app” such as Remember The Milk. And toss all those plastic loyalty and club cards. Use an app called Key Ring and they will always be with you when you need them. 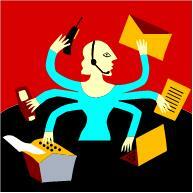 Appointment Management: Phone calendars are wonderful for helping keep track of appointments and deadlines. They even offer the ability to set alarms. Go a step further and set up a shared calendar for your family in Google so you can know who needs to be where and when. 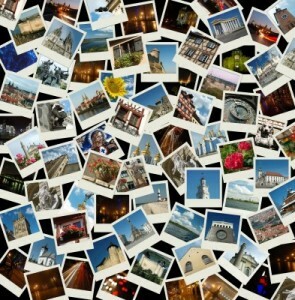 Travel Help: Have you ever been traveling and needed to find a gas station, restaurant or restroom? Don’t want to end up in a less than desirable location? Use the Yelp app to find something local and reviewed by others. Want to catch a movie on the fly? Try the Flixster app to find what’s playing now in your current location. Files at Your Fingertips: Whether used for business or not, this can be more handy than you might think. Try creating a medical file in Evernote or Dropbox with snapshots of test results, medications and procedures. Bring an iPad or tablet to your doctor appointments and pull them up so your doctors can scroll through them easily. Similarly agendas, contact lists, and meeting notes for your association or social club meetings can be saved online. Even if you prefer bringing printed copies, storing them in Google Drive is a great backup plan. If you get into a bind and are caught without the printouts, you can log in to your Google account and access the notes on your phone or tablet without having to stop home. I challenge you to choose one new techno-solution this month and see if it can help you streamline an aspect of your life. Don’t wriggle helplessly in a web constructed by someone else. 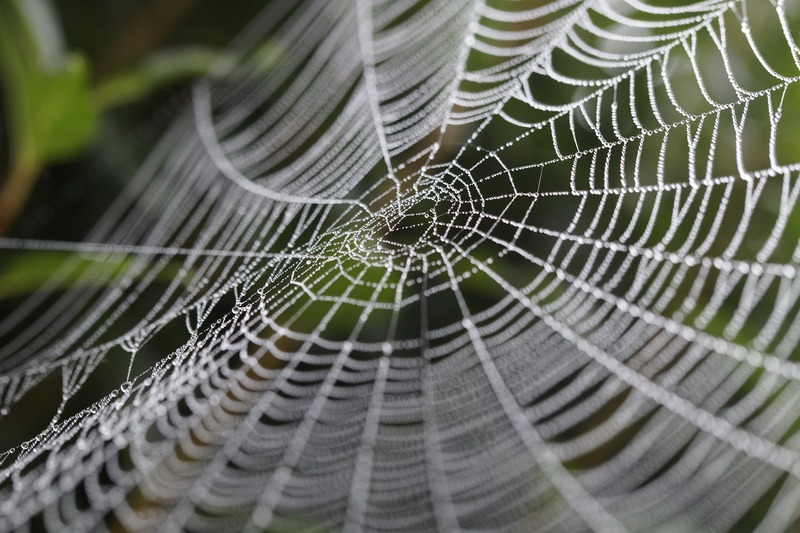 Use technology to create your own web of control and order. Replace your fear of the Internet by spinning a web of your own design. “I’m just a paper person!” Do you ever hear or say that when it comes to keeping a calendar, to-do list, or records? I know I have been saying that for years, always preferring to collect my life and thoughts on paper. The reality is, if we dare open our mind and heart to try something new, there are numerous apps for our phone that will truly make our life so much easier. Yes it does take a small investment of will and time to learn them, but in the end — I promise it is worth it. To start my own journey in breaking through my paper comfort zone, I investigated the benefits of using a calendar app on my phone, instead of using a paper calendar. Below is my comparison chart showing reasons it might be worth making the switch. 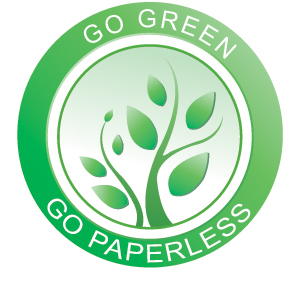 If you already embrace the paperless possibilities in today’s world, this may be the perfect article to pass on to a not-yet-tech-savvy friend! Now it’s up to you to try a calendar app for yourself and move past the paper person persona! Challenge yourself to try it for a week, starting today, and see how it can revolutionize your life! Recently, my workshop for the Holistic Mom’s monthly meeting on “Paper Management for the Green Home” was rescheduled due to a foot of snow. Like many of us, you may be stuck inside during these cold winter days. So why not take advantage of being indoors and organize your home office? Here’s a plan to help you clear your desk while “going green” with less paper. The first step is to go online and opt out of the unwanted mail coming into your home. Try DMAChoice.org for general junk mail, TrustedID.org for unwanted catalogs and Optoutprescreen.com for pre-approved credit card offers. Create a new email address for coupons and ask to have your monthly statements sent via email. There are also some wonderful apps for your phone. Catalog Spree allows you to view a variety of different catalogs online. Retail Me Not offers coupons to local stores, and Snip Snap stores your coupons digitally after you take a photo of them on your phone. Now that you’ve reduced the paper input, it’s time to tackle the existing paper piles. Holistic living is a lifestyle which seeks balance knowing that all things are interconnected. What you bring into your home directly affects how you feel. How does your home make you feel? Is your home office stressing you out? Try to tackle your paperwork often, perhaps in short intervals, every other day. If you need help, get help! Remember, your home is your sanctuary. Happy National Get Organized Month! Happy New Year and Happy National Get Organized Month! I always set a few goals for myself and my business each New Year and organizing certainly plays a key role in accomplishing those goals. Over the years clients have asked for my assistance for many different reasons including New Year’s resolutions. If it takes less than 60 seconds, do it! Whether it’s putting bills away, making a quick phone call, adding a number to your phone, sending a quick email, do it! Take seconds now or hours later. A home for everything. Finding a home means you know where to put it when it gets misplaced and when you need it — it’s there! Choose a time management tool. 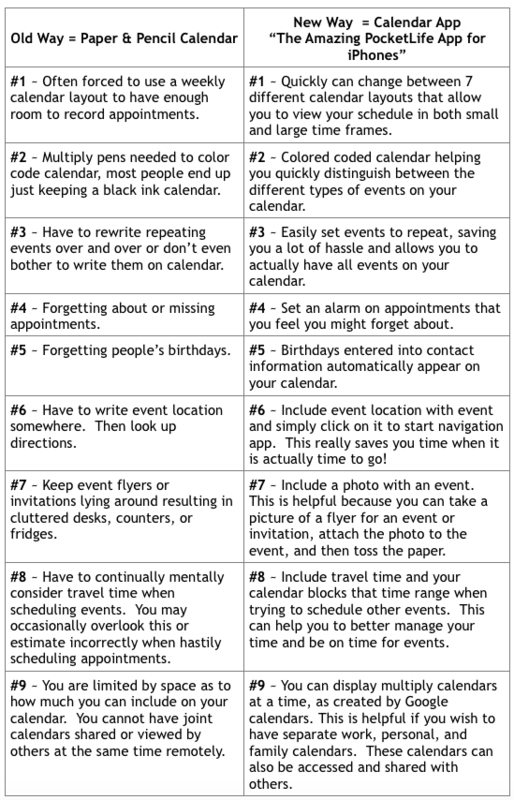 Use a day planner or smartphone to keep track of appointments, tasks lists, self-appointments, and vacation plans. Keep lists. Use your time management tool for all lists: clothing, household items, food, gifts, etc. Keep sizes and dimensions on the list. Lists save time and money and no more buying things twice (you aren’t the only one). Consolidate contact information. Gather mailing addresses, emails, and phone numbers and place them in your time management tool. No more little pieces of paper and sticky notes all over the place. Convenience is the key. No digging and no searching. Place things where you use them; keep most-used items front and center — no pushing other things aside to get to what you need. Focus! Small and large task completion requires focus. Break down any large task into smaller, manageable pieces and stay focused: one bite at a time. Know what to eliminate. Surround yourself with tasks, events, and people who support your goals. Eliminate the rest and learn to say “no” (I have a handout on my website). Consult the experts. Don’t reinvent the wheel; ask friends for recommendations and referrals; consult the Internet (but don’t believe everything you read); and then trust your judgment. Maintenance! Things will get out of order (even in my home), so do a little each evening or once a week in order to keep it that way. Have respect for yourself, your time, and your home. Every time you put something away, it’s a gift to yourself. 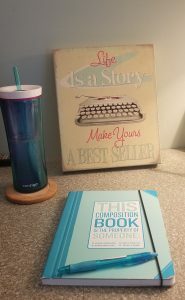 Whether you are making resolutions are just trying to smooth out life’s bumps in the road, get organized! You’ll be glad you did.